Don’t laugh! Think about it for a moment. 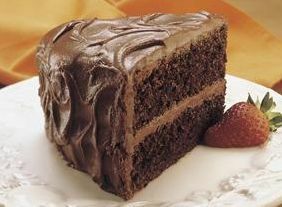 Would it make you happier if every breath was like a bite of chocolate cake, even if nothing else in your life changed? When I first started Yoga I was confused by all the emphasis on the breath. OK, I get it. Breathe deeply. What’s next? The more I learned, the more it seemed like Yoga had a serious breath obsession. It’s the focus of meditation. You have to do it right when you do poses. It feeds the chakras (energy centers) in your body. There’s even a whole separate practice for advanced breathing called pranayama. What for?, I asked myself. OK, we need to breathe deeply. So what? The single breath is more amazing, of course, because it is the wondrous source of your very being – a precondition even to enjoying a bite of chocolate cake. You could say that the single breath is infinitely wondrous. Perhaps you might even say it is divine. “Yes, of course,” she replied. A nice perspective to think about.